Why Get an AC Check? For as important as your vehicle air conditioner is, it’s obvious why you might want to get it inspected on a regular basis. Simply put, the air conditioner in your vehicle takes a lot of everyday wear and tear, and over time it can cease to work the way it should. A regular inspection—perhaps when you visit Meineke in Waterbury CT for other routine maintenance, like an oil change and tire rotation—can keep your AC functioning properly. There are a couple of main reasons why it’s smart to get air conditioning service work done. The first is that you’re going to run out of refrigerant eventually, and will need to have it replaced. (You use roughly 15 percent of your refrigerant each year.) In addition, wear and tear to each individual piece of your AC unit can cause long-term problems, but routine maintenance prevents minor problems from turning into larger, more expensive ones. It’s ultimately in your best interest as a vehicle owner to make preventative maintenance a priority, and that includes getting a regular AC check. Most of us assume we know how the auto air conditioning system works. You press the button and your car’s air vents produce cool, refreshing air—right? Well, actually, it’s a bit more complicated than that. The quick synopsis: Your air conditioning unit produces air that’s actually quite hot, but through a multi-step system it’s both cooled down and also cleared of moisture and contaminants. This is a process that begins with your vehicle’s refrigerant and ends with cool air coming through the vents—providing you with a comfortable ride no matter the weather. You should invest in a regular auto AC check because the AC is important—simple as that. It’s important because it provides you with a comfortable ride, especially during the blistering summer months. It also enables you to demystify your windows during winter. What’s more, your auto air conditioning enhances air quality in your cabin, removing any stray contaminants in the air. These are all important functions that you can preserve through some basic auto maintenance. Why is it Necessary to Get an AC Recharge? There are a couple of reasons why you might eventually need to have some air conditioning repair work done. One, speaking generally, is that your air conditioning system does a lot of hard work, and eventually that heavy lifting will lead to wear and tear. Any one component of the system can break and throw the whole thing off; an AC check will help you identify and correct problems before that happens. Additionally, you’ll eventually run low on refrigerant, which is a critical ingredient in keeping your cabin cool. That’s when an AC recharge is needed. When Do You Know You Need Air Conditioning Repair Work? The surest way of knowing that your auto air conditioning needs an inspection is that it’s not working the way it’s supposed to—plain and simple. Specifically, an AC that’s no longer pushing out cool air needs to be checked ASAP. 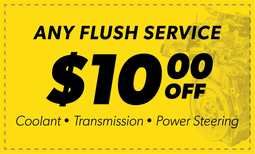 Head down to Meineke in Waterbury CT to have it done!